I'm not the most patient person in the world, but throughout my life I have learned to be more patient. When I began writing, I had all these great dreams of becoming a best selling author, but I wasn't even published for five years. Then I did win several awards, but I still have yet to achieve the best selling author status. And when my stories or articles do get accepted, it may be months or years before they are published and I receive royalty checks. It is the same with dog training. I can't rush a training session with a puppy, dog, or it's owner. I can only work at the level and pace the client can work at and slowly work my way up. Many of the dogs I work with have been newly adopted from rescues, were never trained properly, and/or were formerly abused. This type of work takes patience, lots of patience. New owners that adopt a dog may have the preconceived notion that when they rescue that puppy or dog that they will be good for them once they get them home. It's actually quite the opposite. Dog owners must realize this is a process. They must be patient and give any newly adopted puppy or dog time to adjust to their home, as well as other pets, and their surroundings. It's like a single father and a single mother meeting, falling in love, and deciding right away to get married before telling their kids, so the kids have never met. As most of us would never do that, but rather would be patient, see how the relationship develops while dating for awhile, then allow the kids to meet and adjust before ever moving in together or making wedding plans, so it is when adopting or rescuing a puppy or dog. It literally may take months before the new pooch meshes with the other pets in your home. We adopted Kota, a rescue from a kill shelter in Kentucky, back in November of last year. I, like a lot of others who rescue dogs, expected him to be a great pup in a week or two. The truth is, we've had him several months, and he still has some issues and kinks to work out. The first three months of adoption were up and down. He was loving and a sweetheart, but he was marking our furniture, chewing up everything he could sink his teeth into, and he did not know how to safely play without hurting other dogs. He also didn't know any obedience. Today, he has mastered all basic obedience skills, isn't marking anymore or chewing up things he shouldn't, and he plays nicely at home as well as with other dogs. He still has some issues with jumping on people (even children--but he's doing better), digging and barking while out on the chain, and whining when walking on a leash if he hears another dog bark because he wants to go play with them. I wasn't very patient in the beginning. I wanted to give him back to the rescue group I got him from. But instead, I saw the good in him, the love that he gives to others when I take him to the nursing home for pet therapy, and the potential in him if he received the proper training. I tried to be more patient and kept working with him. I'm so glad I did, because he's a blessing to us and people everywhere we go. I couldn't imagine my life without him. He helps me in my group and private dog training sessions. Now we're giving back by helping to train other rescue dogs for families so we can provide a better future and outlook for everyone involved. So, don't give up on your rescue or adopted pup too soon. If you're struggling, contact a trainer, but please give this pup or dog a fair chance, they have already been through enough in their past life, don't add to it, your patient, loving heart will eventually set them free. Lisa Freeman is an AKC Evaluator, Dog Trainer, and Certified Pet Therapist from Michigan. 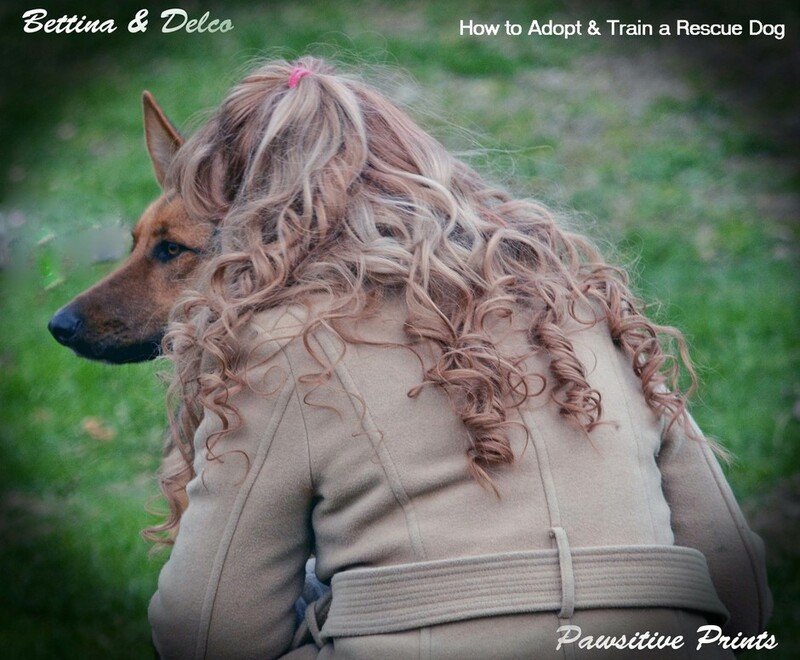 She specializes in obedience, pet therapy, aggression, behavior modification, as well as rescue and recovery and offers group, private and even in home training. For more information click here. She also offers help through her non-profit organizations Abuse Bites, A Time to Heal Ministries, and Paws for Healing. She has also founded Pawsitive Prints photography which she uses her love of photography to help lost dogs find their way back to their owners and post pictures of rescue dogs needing adoption.